What would happen if a collective of like-minded independent musicians joined forces in an effort to elevate their careers while retaining their individual identities? What we’re talking about here isn’t your average crew. 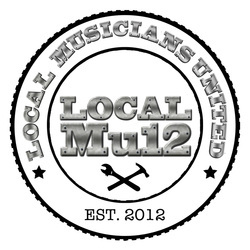 Local-Mu12 is a membership based collective of artists and producers forged together with a mutual understanding; Winning. The collective came together in early 2012 when artist/producer/engineer William "Fokis" Heredia recruited a group of talented emcees and producers from around the world. He knew that this group of individuals (including himself) shared the undeniable talent, dedication and passion necessary for success in the music business. His idea was to pool their resources together and begin operating like a cooperative union: a professional organization constantly seeking ways to help each member of the collective move forward. Today, Local-Mu12 stands together as exactly what Fokis had envisioned. Each of its members has grown artistically and professionally, their sounds being molded by the group’s multicultural, cross-regional makeup and their careers having been boosted by gaining access to tools, industry professionals and collaborators they might not have had access to, had they not been together. Now they're ready to show the world just what the strength in their numbers sounds like as they prep to releases their sophomore album titled "Everyday People". Their 1st single off the album "Hood Rich" features Local-Mu12 members Dana Coppafeel, The Manorail, Stryfe and non member, Oh No (of the group Gangrene) The upcoming album also features the likes of Smif n Wessun, Guilty Simpson, Sadat X, Torae, Ras Kass, Mc Eiht & More.